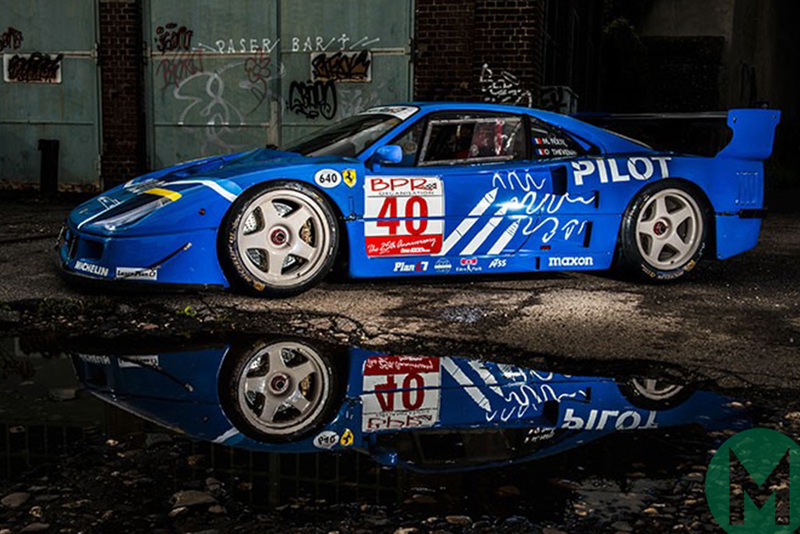 A 31-year-old Ferrari F40 LM just went under the hammer for slightly less than €4,850,000 at a sale in Paris. The auction holder had originally estimated it at €5,300,000 or higher. The unique vehicle is based on the third pre-production version of the Ferrari F40. Back in 1992, professional racing driver René Herzog purchased it and handed it over to Michelotto for it to be converted into a full-fledged racecar. It subsequently participated at the 24 Hours of Le-Mans in 1995 and 1996, but failed to score any notable positions, never ranking above 12th in the overall standings. In contrast to its road-going counterpart, the F40 racecar packs a racing-grade transmission, enhanced chassis, and performance brakes. It also sports a boosted version of the standard 2.9-liter engine, rated at 720 hp (537 kW) instead of the stock 478 hp (356 kW). It sprints 0-100 km/h (0-62 mph) in 3.1 seconds and may eventually reach 367 km/h (228 mph).